Ecological have been providing airtightness and thermal insulation training for over a decade. During this time over a thousand people have passed through our training centre from many backgrounds in the construction industry. These include architects, building consultants, and various tradesmen including airtightness and insulation installers, and homeowners. With knowledge which we have garnered in partnership with leading European insulation and airtightness solution providers and technical institutes over almost 15 years. Ecological Building Systems are in a unique position to impart best practice low energy building principles using more natural materials in Ireland and the UK. 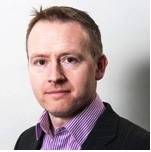 Darren holds a master’s degree in construction project management and is a PHI approved Trainer with over 18 years’ experience. Prior to working with Ecological Darren provided expert training and consultancy in the field of Passive-House and spent some time as a visiting lecturer of building physic at the University of Greenwich & China Building Materials Academy in Beijing. 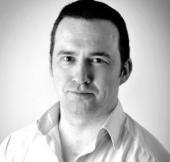 He has consulted on over a dozen NZEB and Certified Passive House projects both in the Uk & Ireland. 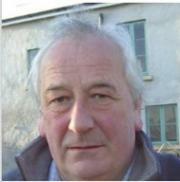 He is also a part-time Sustainability lecturer at Institute of Technology Carlow. His expertise includes PHPP, DEAP and Thermal Bridging Assessments. Then we investigate the Insulated fabric in detail while examining various assembly options for walls and roofs. Participants will also be challenged with solving some thermal bridge free details. The final part of the day will focus on Airtightness and Ventilation in new construction concluding with a tour of the training centre and blower door demonstration. Are you confused about Airtightness and vapour control – Take the pressure off by taking part in our Intelligent Airtightness Training Program. Are you aiming to meet or surpass the latest requirements of the building regulations or perhaps you are aiming to meet Passivhaus levels of airtightness? Improving thermal insulation, reducing air leakage and reducing thermal bridging is invisible but vital to the thermal performance, structural durability, comfort and health of the living space in our buildings. To attain this we must insist on better building practices and materials from the design stage to the building site and put the fabric first. Airtightness is a core element in ensuring thermal insulation performs to its optimum, and to deliver more durable, healthy comfortable buildings. It is with this in mind that Ecological Building Systems have launched our latest course, pro clima Intelligent Airtightness Training. This is timely with the requirement for airtightness testing in new buildings and an increased awareness of the need for improved airtightness in both new and existing. The course is delivered at our Centre of Knowledge in Athboy, Co Meath. Training is provided by our in-house technical expert Peter Smith and Roman Szypura of Clioma House Ltd. Peter Smith has lent his knowledge to some of the lowest energy airtight buildings in Ireland. Roman is a qualified Passivhaus Tradesman and will impart priceless time and cost saving tips on how to deliver reliable airtightness on site. Since 2000 Ecological Building Systems have been at the forefront pioneering the delivery of Intelligent Solutions for Airtightness solutions in Ireland and the UK. Passive House buildings refer to a standard and not a certain construction method. Passive House standards of performance have been tried and tested and proven to repeatedly deliver real high performance, comfortable, healthy buildings. Passive House is as much a build quality standard, as it is an energy performance standard. Good planning and careful implementation of details are decisive factors in the construction of Passive House buildings. The aim of this training is to convey an overall impression of the interdisciplinary Passive House concept and how to ensure what is designed, is delivered on site. Experienced qualified tradespersons working in the construction industry. Prior attendance to Ecological Building Systems “Fabric First” and “Airtightness” courses will provide participants with an excellent knowledge base for this course. Course Fee: €425 includes the cost of the examination and international certification. The Passivhaus Tradesperson qualification is an internationally accredited by the Passivhaus Institut in Germany. On successful completion of the exam, participants are listed on the Passivhaus Tradesperson database.